Welcome to Avalanche Retreat, your home away from home. The Yellowstone area will keep you busy with daily adventures to unique places of interest. We offer some of the best scenery, fishing, hiking, and all around breath taking beauty in the west. So after a enjoyable day of vacationing in our area, come home to a relaxing evening in our newly remodeled, and decorated condo. Enjoy a quiet evening in the front yard for a barbecue, or to just relax, visit and witness beautiful sunsets. 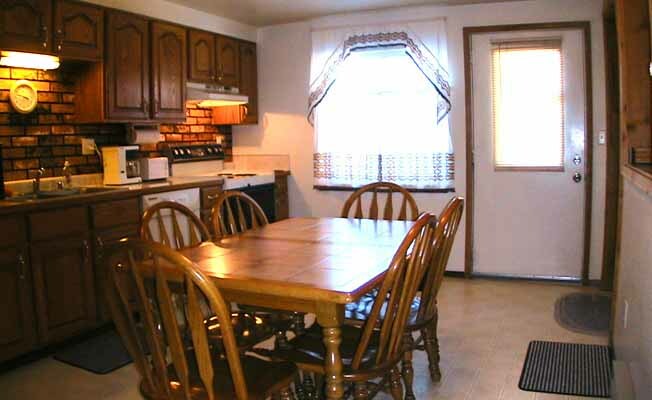 Upon retiring for the evening you will find our spacious condo will give you that right at home feeling. We would like to thank you for taking the time to visit our site. And it would be our pleasure to make your stay with us a comfortable and happy adventure. So plan your vacation with us now at Avalanche Retreat. This spacious 1,230-square-foot condo lays on three levels. The ground floor level consists of a fully supplied kitchen, with all cooking utensils, dishes, glassware, pots, pans, etc. The living room also located on this level has a fireplace, two couches, a rocker and flat screen TV with DVD player. On the upper level there are two master bedrooms with one queen and one king bed, end table and chest of drawers. There is also a full bath on this level. On our lower level we have two bedrooms, the first with one double, and one single bed. And the second bedroom with one queen. This level also has its a 3/4 bath, along with washer and dryer. All linens, towels, soaps for laundry, dishes and bathrooms are supplied also. Two TVs have Direct TV, one in the master bedroom with the king bed and one on the main level. The TV in the downstairs bedroom has DVD and VCR only. Newly painted and a patio with furniture and grill.